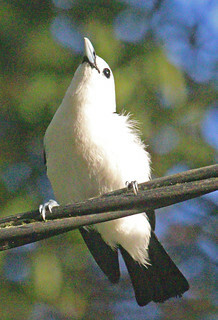 White-headed Vanga at the Feon'ny Ala resort, Madagascar, 131128. Artamella viridis. Passeriformes: Vangidae.